Up at 0650hrs, WC and got the launderette togs ready, remembering in the drying balls, soap tablets and nibbles for the laundry girl. Then a cuppa, and on the laptop… eventually thanks BT Internet. Then up the apples to have a wash and WC. Rubbish to the bin, and then out to walk to launderette. As I started walking, BJ arrived in his car to give me a lift. Kind of him that. 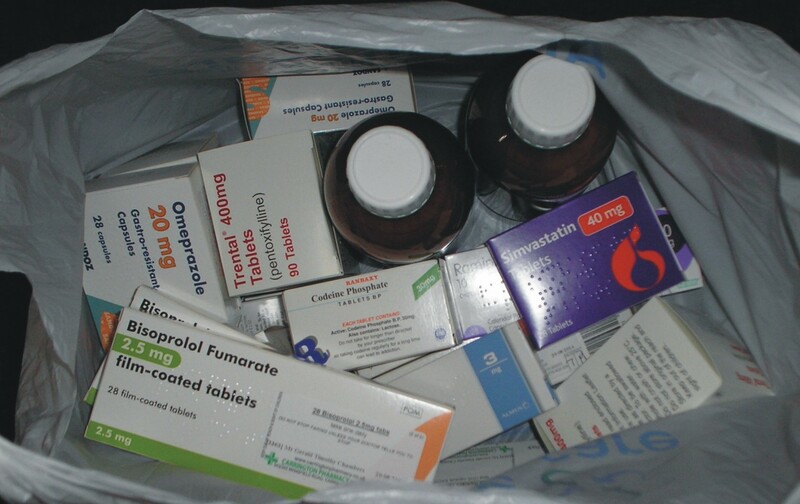 Got the things in the machine, then walked to chemist for me prescriptions, that were ready on time. Then realised I would not be able to carry the big bag of medications as well as me two bags of washing back home again. So when I’d got the washing into the drier, I walked back to the pit with the medications, picked up two lollies from the freezer, and took ‘em back to the launderette with me. Mandy was tickled pink that I’d taken them for her, and gave me her excellent ‘Poor old sod’ look. Got the togs, waved cheerio to Mandy, and legged it back to the flea-pit – where I found a police car, forensic van and reporters outside the house opposite just down the road from mine. An officer was looking for prints on the window frame, so I assume it was another break-in. Why the reporters though? A simple break-in around here is not worth their reporting; else they’d get sued for repetition! I updated this Diary, did a bit of blog viewing. Then I decided to have a walk into town, and have a look see if any cheapo pyjamas could be obtained. 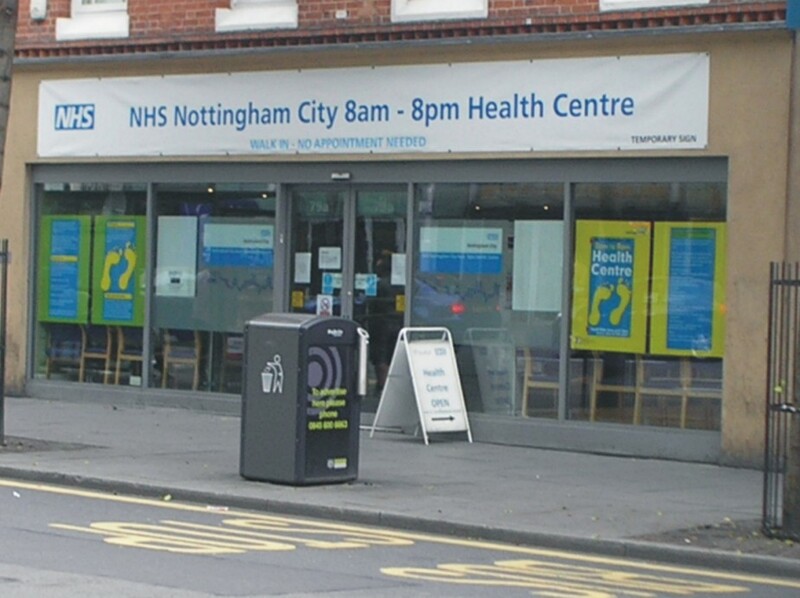 Then changed me mind, and decided to have a walk to Sherwood Nottingham Hospice Shop, take em me ticket maker and few bits and then bus to town for a wander about like. Had a nice gentle walk into Sherwood, donated me bits and pieces, and glad to be free of the weight I was carrying too. Then I caught a bus to town. 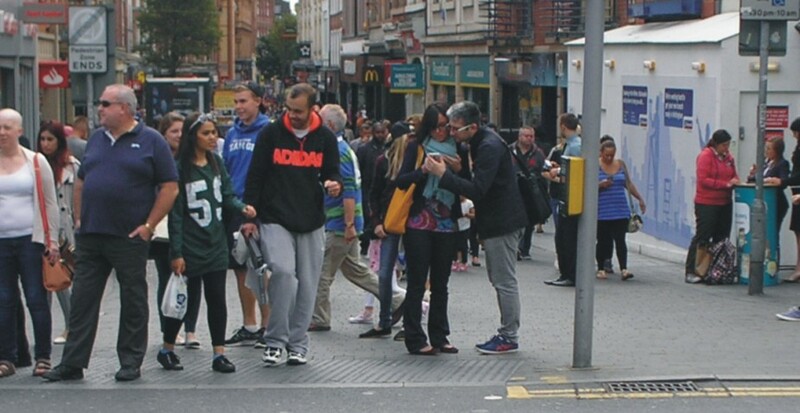 When I got off and walked to cross over towards Clumber Street, I noticed there seemed a lot of people on it for a Monday. I found out why as I walked down to near McDonalds – two women were going at it something awful, did everything but clobber each other, and that’s what attracted the crowd yer see. 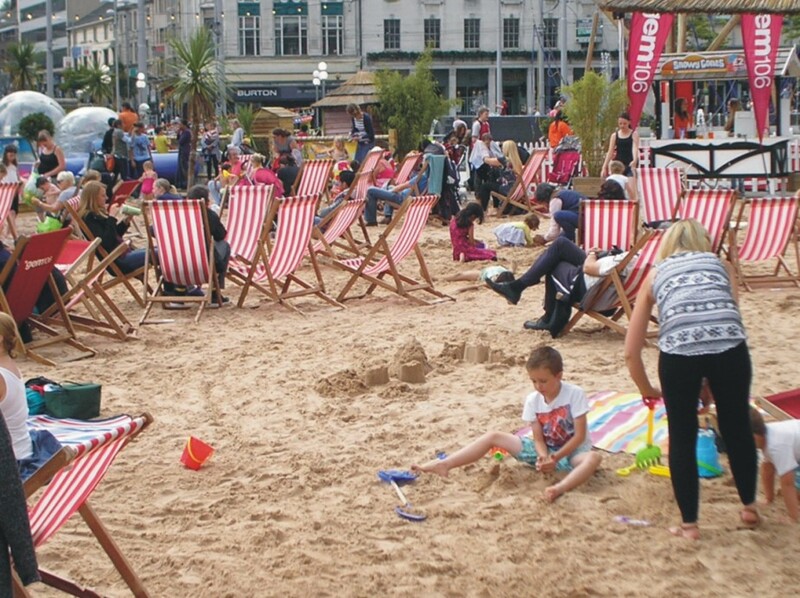 I took a photo of the Nottingham Beach in the slab square, everyone seemed quiet happy. I moved on and hobbled to the bank, where I waited for twenty five minutes to get served. The teller apologised, but I couldn’t help pointing out the sign behind him that advertised their excellent customer service! I hobbled up to the NHS drop-in centre. As recommended to by my GP receptionist who I asked last week where I could get another Medical Card from, as the one the hospital gave me was almost unreadable now. She replied, try thr NHS drop-in centre, so I did. I limped back up to the second had record/tape/DVD shop, and he’s saved me a rare Acker Bilk CD, £5, so I treated missen to it. 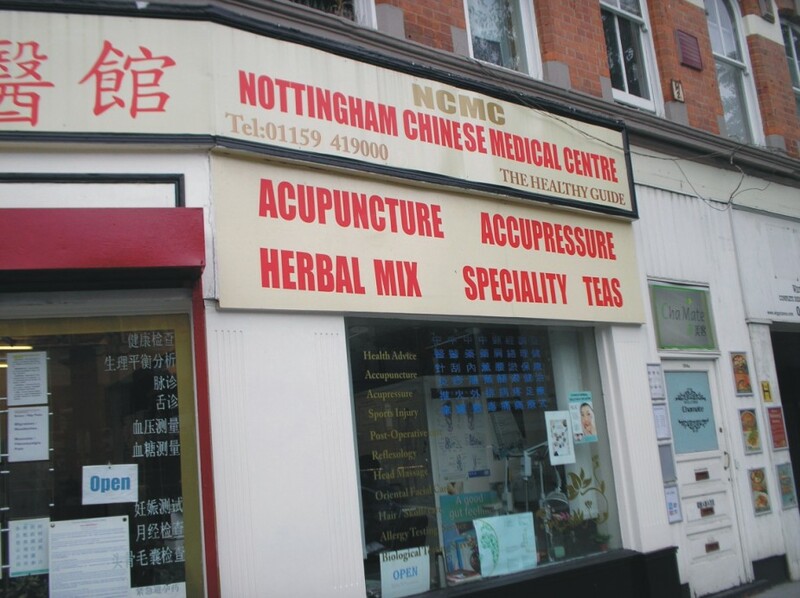 As I walked down to catch the bus back to Carrington, I took photo’s of a Chinese Medical Shop and the NHS drop-in Centre, don’t know why I did, but I did. The queue at the bus-stop was enormous, so I went to catch another bus that took another longer route, and got on it and got a seat. Unfortunately I was unsure which stop to get off at, and overdid it a bit, and found myself with another marathon walk. Never mind eh. 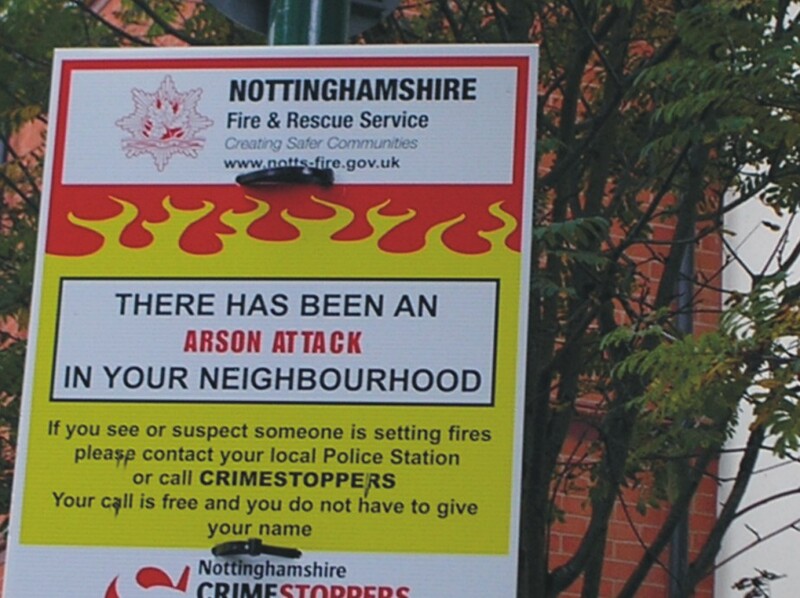 At the end of my street, I saw the Fire Brigade had put up a notice warning us about arsonist working in the area. 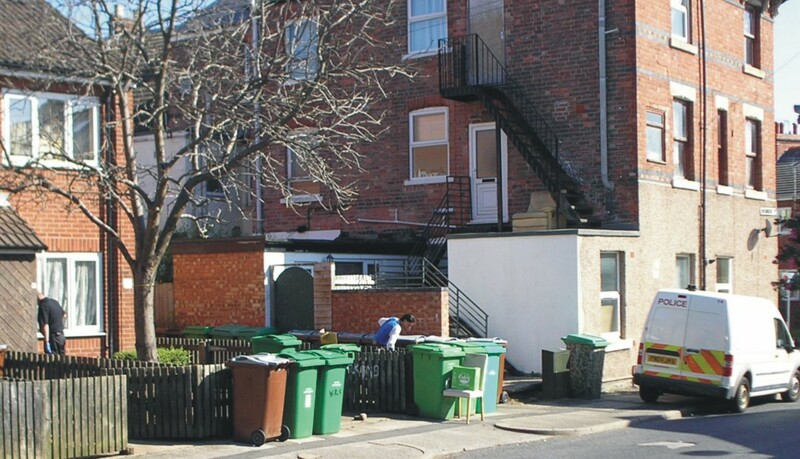 The police put one up about burglars burgling in the area last month, but someone nicked it. I called in Lidl to get some cobs – and was in the queue at the check-out for yonks and yonks, eventually giving up and leaving. There were only two tills open, and the poor gal on the one I was at, was having some sort of trouble with the till. So I hobbled up to the Co-op store and got some Bread Thins on offer at £1, and a pack of 6 iced lollies for the same offer price. Why I did this, having purchased some from Fulton’s yesterday, I haven’t worked out yet. Got in and made me sandwiches for later.